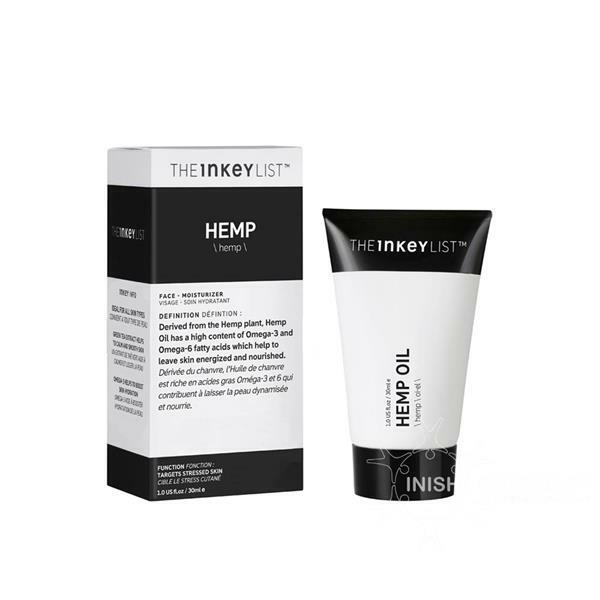 The Inkey List Hemp Oil cream moisturiser is particularly beneficial for calming irritated and stressed skin. Derived from the hemp plant, hemp oil is naturally rich in fatty acids omega 3 and omega 6 which help to nourish and energise the skin. This soothing moisturiser helps keep skin looking its best by replenishing moisture and plumping skin. Great for those with dry skin or those complexions in need of an extra boost of nourishment due to irritation caused by environmental stressors such as air conditioning or sun exposure. Also contains antioxidant green tea to help protect skin from free radical damage. Use in the AM and PM. Apply a pea-sized amount to cleansed skin and gently massage into the face and neck. Use after serums.